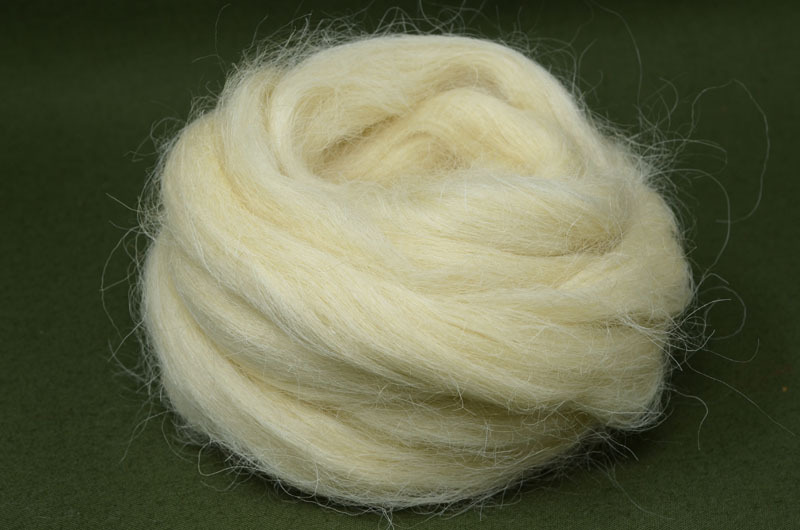 The Devon breed has a slightly coarser wool than some of the other British breeds we offer, but that's not to say that it doesn't have it's uses! While it may take a little longer to felt it's perfect if you're looking for a budget fibre that will stand up to the rough-and-tumble of daily use. 10cm staple (avg), 42 micron.